A reader named Don Hallstrom posted a comment that was buried deep in a thread that I posted a year ago. If WordPress didn’t notify me whenever a comment is posted to this blog, I probably never would have noticed it. I realize Young and Gordon have had biographies done on them(unsure of the quality). Wondered if you thought any of the others might be good subjects. One other book I have in my collection that I’ve not gotten to is THE LITTLE JEFF- Hopkins. Hopefully, will provide some good reading. I thought I would answer your question here in a separate post, instead of in the comments to a very old post. You are correct that there is a biography of P.M.B. Young. It’s rather old at this point, and he could probably stand a modern treatment. I am not aware of a specific biography of James B. Gordon, although there is a very good history of his brigade by old friend Chris Hartley. The issue with Gordon, of course, is that he died in May 1864, and I have no idea what primary source material is available on Gordon himself, as opposed to his brigade. Chambliss and Lomax both probably deserve bios. Chambliss, of course, was KIA in August 1864, but he was a West Pointer, and a very close friend of David McMurtrie Gregg. Chambliss played a very significant role in the evolution of the Army of Northern Virginia’s Cavalry Corps, and commanded a brigade during its most important period. Lomax achieved the rank of major general and divisional command, and he was also a member of one of the First Families of Virginia. Baker is a pretty minor player, and I think it would be extremely difficult to try to write a bio of him. That I am no fan of Tom Rosser is no secret. I think Rosser was dramatically overrated and not an especially good soldier. Having said that, Rosser has one biography, and it’s not very good at all. Rosser needs a modern and scholarly biography if for no reason other than that he looms over much of the war in the East. I hope that answers your questions. If you’re thinking of tackling one or more of these projects, good luck. When Fort Sumter fell in April 1861, tens of thousands of young men flocked to join the armies of the South and the North. Many had no military experience whatsoever. Some had served in various militia regiments and had at least some rudimentary military training and skills. One such militia unit was called the Philadelphia Light Horse, which was composed of affluent young men from a suburb of Philadelphia called Germantown. On the 1st of May we took possession of an unused race-course, at Chestnut Hill, near Germantown, with the unoccupied inn and stables attached, where we had ample accommidations for both men and horses, and the grounds wer admirably adapted for a Cavalry School of Practice. Discipline was observed in accordance with the United States Army Regulations. The men slept on straw shake-downs on the floors of the inn; answered reveille roll-call at break of day; groomed and fed their horses; cleansed the stables and policed the barracks and grounds; drilled on foot in the forenoons and mounted in the afternoons, and performed guard duty at night. Hundreds of ladies and gentlemen, in carriages and on horseback, came to witness the mounted drills, and we felt duly stimulated by their presence; the ladies waving their handkerchiefs and the gentlemen cheering when we performed any evolution which excited their admiration. On a fine June day it was an animating sight to behold the grand stand filled to overflowing with young ladies, the elite of society, all elegantly attired in their gauze-like garments of pure white, or delicate pink or blue, their beautiful faces radiant with pleasurable excitement, as they witnessed the dashing horsemanship of the gallant young troopers, riding at the “heads” in the ring, with sabre or pistol, or taking the “ditch or bar” at flying leaps. And, anon, charging in line across the fields; then ploying into column; then deploying as skirmishers, firing blank cartridges as they advanced; then charging as foragers, and rallying at full speed upon the reserve. We generally went through the sabre exercise, at open order, in front of the stand, so that the ladies might be enabled to watch the different individuals as they executed the cuts, thrusts, and parries, at the word of command. After drill it was usual for the troopers to act as escorts to the young ladies on horseback; and the beautiful sylvan lanes, leading to and from the romantic banks of the Wissahickon, presented gay and lively scenes during those charming afternoons. And at night the old woods rang with pleasant echoes, as we strolled leisurely along the banks, bathed in the cooling waters, or rowed upon the silent and softly flowing stream. But these things were not to last. Indeed, they did not. Most of these young men received commissions in the Union army, and many of them achieved prominence in its mounted arm. Stevenson was a company commander in the First New York (Lincoln) Cavalry. A number became officers in the Sixth Pennsylvania Cavalry: William P. C. Treichel, Frederic C. Newhall, William W. Frazier, Emlen N. Carpenter, and Osgood Welsh. Walter S. Newhall joined the Third Pennsylvania Cavalry, serving with great distinction until his untimely drowning death in December 1863. Times certainly changed. Certainly, playing at war lost its allure. Reading the descriptions of those heady, idyllic days of the spring of 1861 contrasted with the horrors of Civil War combat makes on wish for those innocent days again, much as we modern Americans long for the lost innocence of the prosperous 1950’s. Another Means of Promoting Our Work…. JD and I have two articles appearing in major Civil War magazines in the next couple of months. Both articles were written as adjuncts to our Stuart’s Ride book, and both were specifically intended to provide us with another means of promoting the book. The first one to appear will be an even more detailed treatment of the charge of the 1st Delaware Cavalry, also known as Corbit’s Charge, at Westminster, MD than what appears in the book. That will appear in the next issue of Gettysburg Magazine. JD and I signed off on the maps that will appear with the article today, and they’re quite good. After the book was completely finished, I found a couple of additional sources, including an extremely detailed account by a trooper of one of Corbit’s men, who managed to avoid capture that proably would not have been used in the book, had we known of it then. The emphasis in the book is on Stuart’s Ride, and hence on the Confederates, and this account is very much a Union account. The nice thing about the article, therefore, is that it permitted us to add to the chapter in our book. The other is a piece that will appear in the February issue of Civil War Times Illustrated. That will be a cover/feature article, and focuses on the desperate and heroic charges of the 11th New York Cavalry (also known as Scott’s 900) at Fairfax Court House and Corbit’s Charge at Westminster. Each of these episodes, which were nearly identical in size and effect, cost Stuart fully half a day, meaning that the combination of both set him back a full day, which, in turn, meant that he was unable to link up with Jubal Early’s division. This article was written specifically to promote the book, and the fact that it’s going to be a cover story makes it all the better. That’s the sort of publicity that’s extremely hard to beat. I find that promoting my work in this fashion is extremely effective and that it is a great way to spread the word. Hopefully, the combination of these two articles will spike sales yet again. I accompanied Susan to see the orthopedist this morning. I am pretty sure that we are single-handedly funding either his retirement or the education of his children. This fellow has done both of her prior reconstructions, he did the arthroscopic procedure on my left shoulder, and treated my achilles tendinitis, among other things. I often wonder whether he cringes or smiles when he sees one of us coming. Today, there was good news, bad news, and unwelcome news. The good news: The MCL, LCL, and PCL are intact and undamaged. There was much less damage than any of us expected, which is a very good thing. The bad news: The ACL is toast. She also has a torn meniscus. She will require reconstructive surgery to repair the ACL again. The unwelcome news: He wants to wait two to four weeks to do the surgery. Rationally, the reason makes sense, which is to permit the rest of the swelling to go down and to allow the inflammation in the joint to go down. However, it means two to four weeks of more atrophy to her leg and delays the rehab process by that much longer. We’d both prefer to just get it over with and start moving back toward some semblance of normalcy in our lives and routines. She sees him again in two weeks. Hopefully, the surgery will be scheduled then. One of my favorite clients is a local theater company that operates a cabaret. The talent and productions are first-rate, and I really enjoy working with them. The company is called the Shadowbox Cabaret. Imagine Saturday Night Live at its very best, and you will get an idea of what I’m talking about here. Anyway, a group of us (14, to be precise) went to see the show tonight. One of the guys in the group had asked me to bring him a copy of the Stuart’s Ride book, so I did. One of the fellows in our group was not aware that I was a writer, let alone that I had jointly produced a 400+ page book. When it was handed to him, he took one look at it, and loudly declared, “HOLY CRAP!” The whole group absolutely broke up laughing. I laughed until I cried. My stomach still hurts from laughing so hard. When I met my wife in 1991, she was a mere 23. She had a nasty surgical scar on her left knee, so I asked about it. Two years earlier, at 21, she’d had reconstructive knee surgery to replace a blown anterior cruciate ligament. She told me what an ordeal the rehab was. Now, I was (and am) no stranger to orthopedic injuries. I’ve torn up my left ankle something like 30 times over the course of my life, including twice badly enough to have be in a cast for more than a month. If I look at it funny, it goes. I once sprained both ankles at the same time. THAT was fun. I broke my left leg playing pick-up football in 8th grade, and I’ve broken a finger playing basketball. I also suffer from severe, chronic tendinitis in my right elbow from years of playing baseball, and I’ve also suffered from acute achilles tendinitis in both legs. I pulled a hamstring playing softball 17 years ago, and it still bothers me regularly. I’ve dislocated my left pinkie finger so badly it required surgery and will never be straight again. I likewise dislocated my left big toe, and my nose has been broken. I had arthroscopic surgery on my left shoulder in March 2005, and I still can’t even think about swinging a golf club. However, I guess I’m lucky, because I’ve never had knee trouble. Susan has more than made up for it. In 2002, she had an accident at work, fell from an unsafe ladder, and tore the ACL in her right knee. That took another reconstructive surgery and then a second surgery a couple of months later to remove a scar tissue lesion that formed. Because it was a worker’s comp claim, it took six weeks from the injury to the surgery, and she had so much atrophy in her leg from being in an immobilizer for that long–plus another several weeks after the surgery–that her right leg is still significantly less muscular than her left and probably always will be. Then, last Thursday night, after a very rainy day, she went to let our dogs out. We have concrete steps from our back door, and they were very slick from the rain and from the fact that the ground was so sodden that the dogs had tracked liquid mud. She went to step down with her left foot, and it went right out from under her. Her left knee caved in. I took her to the ER, and the attending was pretty certain that she’d torn at least one ligament, and perhaps more. However, they can’t see soft tissue on x-rays, so there was no way to tell for sure. I took her to see the orthopedist yesterday. He saw a lot of wobble in the knee and is quite certain that the ACL–already reconstructed once–is gone. The only question is what else went with it. She had an MRI yesterday, and we find out on Friday morning just what happened. No matter what, she’s going to need reconstructive surgery on that knee AGAIN–the only question is just how much will need to be done. I’m hoping that the surgery can be scheduled for next week to get it over with, but that’s not up to me. After that, of course, comes lots of painful, miserable rehab. In the interim, in addition to my own job, my responsibilities for Ironclad, and everything else I do, I now have to worry about pretty much everything else around the house, too. On top of it all, I have a sinus infection. My point in telling you all of this is that with limited time available and too much to do, something may have to go, and that something may have to be some of my blogging activity. I regret that a great deal, but there really isn’t much that I can do about it. Please be patient with me, and I will do my level best to continue to post. Please don’t be surprised, though, if there are gaps, or if posts are shorter than what you might otherwise expect from me. I was supposed to do a presentation on Stuart’s Ride with J. D. tomorrow night for the Gettysburg Civil War Roundtable, but I backed out of it because I didn’t think it was a good idea to leave Susan unattended under the circumstances. J.D.’s going to handle it alone–quite competently, I’m certain. In the meantime, I will keep you posted as to her progress. Today, J. D. Petruzzi’s blog features a post about one of my favorite primary sources, The Journal of the United States Cavalry Association, which was a professional journal for serving officers of the United States Cavalry. George S. Patton, Jr., an old horse soldier, was a regular contributor the Journal. Another regular contributor was one of my favorite Confederate cavalrymen, Col. Thomas Taylor Munford. I’ve always believed that Munford got an incredibly raw deal from the Confederate hgh command. For one thing, he wasn’t a West Pointer, and for another, he wasn’t the easiest guy to get along with. At the same time, he was an extremely competent cavalryman who often commanded brigade and occasionally even a division as a colonel. He was often recommended for promotion by Stuart and Robert E. Lee, but the Confederate Senate never confirmed a promotion. However, that didn’t stop Munford from calling himself “general”. J. D.’s post has inspired me to select Munford for one of my periodic profiles of forgotten cavalrymen. Brigadier-General Thomas Taylor Munford, a distinguished cavalry officer of the army of Northern Virginia, was born at the city of Richmond, in 1831, the son of Col. George Wythe Munford, for twenty-five years secretary of the commonwealth. He was graduated at the Virginia military institute in 1852, and until the outbreak of the war, was mainly engaged as a planter. He went into the Confederate service as lieutenant-colonel of the Thirtieth Virginia mounted infantry, organized at Lynchburg, May 8, 1861, and mustered in by Col. Jubal A. Early. This was the first mounted regiment organized in Virginia, and under the command of Col. R. C. W. Radford, was in Beauregard’s army at the battle of First Manassas. Subsequently it was entitled the Second regiment of cavalry, General Stuart’s regiment being numbered First, at the reorganization under Stuart, when Munford was promoted colonel of the regiment. On the field of Manassas he had commanded three squadrons composed of the Black Horse, Chesterfield, and Wise troops, the Franklin rangers, and three independent companies, and pursued the enemy further than any other command, capturing many prisoners and ten rifled guns, which he turned over to President Davis at Manassas. His career as a cavalry officer thus brilliantly begun continued throughout the war, and was notable for faithful service in whatever command was allotted him. In the spring of 1862, attached to Ewell’s command, he skirmished in Rappahannock county, and then joined Jackson in the Valley. Upon the death of General Ashby he was recommended by Gen. R. E. Lee as his successor. In this ,capacity he participated in the battle of Cross Keys, and captured many prisoners at Harrisonburg. With his regiment he led Jackson’s advance in the Chickahominy campaign, and o; the day of battle at Frayser’s farm, his men were the only part of the corps to cross the river and attack the Federals at White Oak-swamp. He joined Stuart’s command in the Manassas campaign, leading the advance of Ewell’s division, and received two saber wounds at Second Manassas. In September, assigned to the command of the brigade, he took part in the Maryland campaign, in which his men sustained the main losses of the cavalry division, fighting at Poolesville, Monocacy church, Sugar Loaf mountain, Burkittsville and Crampton’s gap. At the latter pass of the South mountain, with about 8oo men, dismounted, he made a gallant defense against the advance of a Federal corps. At Sharpsburg he was actively engaged on the 17th and 18th, on Lee’s right wing, guarding the lower fords of the Antietam, crossed the Potomac in the presence of the enemy, and defended the retreat from Boteler’s ford. In October, when the Federal army advanced in Virginia in two columns, he was put in command of one division of the cavalry to confront Hancock’s troops. Subsequently he was transferred to Fitzhugh Lee’s brigade, which he commanded after Chancellorsville at Beverly’s ford and Aldie. He took part in the Gettysburg campaign, the Bristoe campaign, and the cavalry operations in the spring of i864 under Gen. Fitzhugh Lee, participated in the Valley campaign with Early, and being promoted brigadier-general in November, 1864, was assigned to the command of Fitzhugh Lee’s division. In this rank he made a gallant fight at Five Forks, and on the retreat from Richmond was associated with General Rosser in the defeat of the Federals at High Bridge, capturing 780 prisoners; also in the battle of April 7th, when the enemy was again defeated and Federal General Gregg was captured. At Appomattox, at daybreak of April 9th, he commanded the cavalry on the right of the Confederate line, in the attack, and driving the enemy from his front, moved toward Lynchburg. 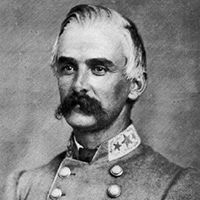 After the surrender of Lee he endeavored to collect the scattered Confederate bands and make a junction with Johnston’s army, but after the latter command capitulated he disbanded his men late in the month of April. In his final report Gen. Fitzhugh Lee called attention to the excellent service of General Munford as a division commander. With the close of the war he retired to his home, and since then has been engaged in the management of agricultural interests in Virginia and Alabama, with his home at Lynchburg. He has served two terms as president of the board of visitors of the Virginia military institute. In the years after the war, he ultimately settled in Uniontown, Alabama, where he was a planter. Munford died on February 27, 1918 at the age of 87. I’ve always firmly believed that Munford got a raw deal. The simply fact is that he was an excellent soldier, unquestionably a better cavalryman than the likes of Thomas L. Rosser, who provides excellent proof of the truth of the Peter Principle. Somehow, Rosser, who was not competent to command a regiment, ended up a major general while Munford, who was a MUCH better soldier, never did receive a promotion to brigadier general. Rosser and Munford detested each other. They spent the post-war years sniping at each other in print. One of these days, I’m going to do something on their decades-long feud. I’ve already got a title picked out: “There was no love lost: The Rosser/Munford Feud”. Here’s to Thomas Taylor Munford, forgotten Confederate cavalryman. Books, Books, and More Books…. In addition to everything else on my plate, I am also the president, managing editor, and CFO of Ironclad Publishing. I am also the fulfillment department. In other words, I handle pretty much everything for the company but marketing and the vast majority of the copyediting (although I’ve done some of that, too). As if I don’t already have enough to do, right? We just came out with a new title. The book is titled The Battle Between the Farm Lanes: Hancock Saves the Union Center; Gettysburg, July 2, 1863, and was written by Dave Shultz and David F. Wieck. Some of you may be aware of Dave Shultz’s excellent little book about the Federal artillery in Pickett’s Charge, Double Canister at Ten Yards: The Federal Artillery and the Repulse of Pickett’s Charge. Dave’s primary focus has always been on the artillery, but he also has a gift for incorporating the artillery’s role into the bigger picture, and the new book proves that beyond all doubt. The farm lanes in question are the Trostle and Hummelbaugh farm lanes. The book addresses Hancock’s superb management of the fight that hot, dry afternoon, the magnificent stand of the 1st Minnesota infantry, and the hard fighting of the Second Corps that day. Like so much of the other work done by Dave and his former partner, the late Rich Rollins, this book emphasizes the role of the terrain in the development of the fighting. The book is part of Ironclad’s “The Discovering Civil War America Series”, and, like every other book in the series, it incldues a detailed walking/driving tour for those interested in seeing that portion of the battlefield in depth. The production process takes time. In June, we decided to do a pre-publication special price, and the orders started coming in then. We also ran a fair amount of advertising in the magazines and in The Civil War News, so before we knew it, a whole bunch of orders waiting to be filled. It took about six weeks from the time that I sent the book to the printer until we had finished books, and then those finished books had to be shipped by the printer. In short, I just got three boxes of the books on Friday. I spent about an hour yesterday doing the necessary bookkeeping, entering all of those orders into Quickbooks so that there is a full and complete record of all of these purchases. It took Susan and me the better part of two hours and $125 in postage to get all of the pending orders filled. We shipped close to 50 orders today. We had to make two separate trips to the post office, as I missed four orders the first time around. It was a marathon, and, to be honest, I had been dreading it. Now, don’t get me wrong–I love books. I love the publishing process, and I especially love selling them. However, today was a sterling example of too much of a good thing. Hopefully, it’s going to be a while before I have that many orders to fill in one shot again. Brett Schulte, your copy was one of the ones that I shipped today. I packed that sucker myself. It still absolutely amazes me the way that books on Gettysburg sell. If it’s Gettysburg, it’s going to fly off the shelves. This book is apparently no exception to that rule. J. D. Petruzzi has an excellent post about leading tours of obscure places as his first real blog entry. Those of you who know me, or who have been long-time readers of this blog, know that there are few things that I enjoy more than seeing or visiting really obscure places. I love visiting really obscure placs that few if anyone ever visits. I especially love leading tours of obscure places. Let’s face it: most serious students of the Civil war have seen the site of Pickett’s Charge. I have never found Pickett’s Charge even remotely interesting–in fact, it bores me–and I’ve walked it four or five times in my life. If I never hear of it again, it won’t bother me a bit. It’s not a site I need or want to spend any more time on. What I enjoy are the sites of the obscure skirmishes–JD’s focus on the brief encounter between the 26th Pennsylvania Emergeny Infantry and Jubal Early’s division on June 26, 1863 is an excellent example of what I mean here. I’d driven by the monument to that encounter more times than I can count, and I had never noticed it. I really love finding those out of the way spots–which often interest nobody but me–and learning about them. Once I learn about those out of the way spots, few things give me greater pleasure than sharing that knowledge. I REALLY enjoy leading tours. I like giving folks my interpretations of events and showing them those obscure places that I enjoy so much. Perhaps it’s in the hope that others will find them as intriguing as I do. Perhaps it’s a way of indulging my frustrated inner teacher. No matter what, there simply aren’t a lot of things that I enjoy more than leading tours of battlefield sites. This year, I’ve led tour groups at Monroe’s Crossroads, Gettysburg, Trevilian Station, Yellow Tavern, and Haw’s Shop. With the very notable exception of Gettysburg, these are not spots that typically get much in the way of visitation. I’ve been to Trevilian Station a couple of dozen times over the course of my life, and I have never seen anyone else touring the battlefield on any visit. I’ve never seen anyone else at Haw’s Shop, or at Yellow Tavern. Monroe’s Crossroads is a completely different story. It’s nestled among the artillery drop zones in the middle of Fort Bragg, and it almost requires an act of Congress to get permission to go out there. If the 82nd Airborne is there–and not on deployment–it’s pretty much impossible to get out there because they’ll be drilling. It’s not much of a surprise, therefore, that I’ve never seen anyone else out there other than guys in camouflage uniforms when I’ve been out to visit the battlefield. I view it as part of my responsibility to share whatever knowledge I might have with people, and part of that–probably the most enjoyable part of it–is leading people on battlefield tours. If I could make a living doing it, I would do so in a heartbeat. Sadly, though, unless you’re Ed Bearss, it’s generally not possible to make a living that would enable anyone to exist at a standard of living higher that poverty level. Some of the National Park Service historians undoubtedly do better than that, but those jobs are, of course, very few and far between. So, it means that I practice law full time and indulge my Civil War jones as often as I can. But I will always derive great pleasure from leading battlefield tours, and it will always be something I will want to do whenever possible. Andy MacIsaac’s blog, First Maine Forward, has not had a new post since July 20, meaning it’s been completely inactive for more than 90 days. Consequently, I have deleted the link to it. If Andy resumes blogging, I will restore the link. My good friend and co-author J. D. Petruzzi has decided to enter the blogging fray with a new blog called Hoofbeats and Cold Steel. JD’s first post is an interesting one, and one which I will explore a bit later today.